Chennai is home to many ancient cities with rich culture and heritage. In each and every lane of these cities, you can find traces of its past. Forts dating to before Christ's period to temples with their age-old history, everything deserves a round of applause on account of their ceaseless magnetism and beauty. Vellore is one of the major places which comes to mind when the bet is on temples and forts. Ruled by Pallavas, Cholas, Mauryans, Carnatic kingdom, Mughals and British, Vellore has its roots buried deep down the layers of Indian history. Famous for its age-old temples and forts, Vellore is one of the most visited places in Tamil Nadu. 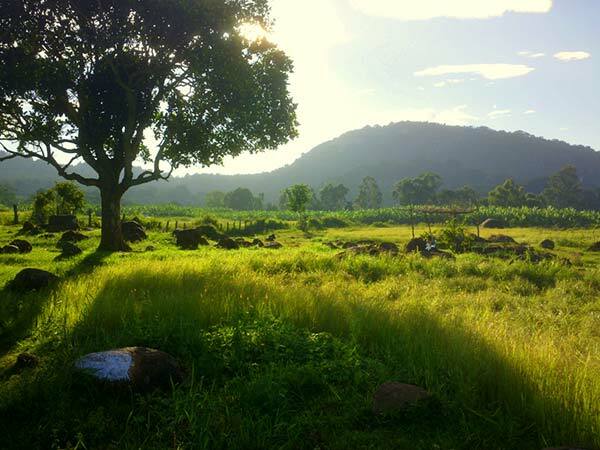 Today, it has also become popular amongst campers and nature lovers, too, for Yelagiri hills. If you are looking for a perfect weekend getaway from Chennai, then Vellore is located at a distance of just 140 km. Get yourself here and take home an eternal timeless experience. Vellore experiences an extreme type of climate and owing to its hot summer, it is advisable to avoid visiting Vellore during the summer season. The best time to visit Vellore is from October until the end of March when the weather is pleasant and cool. During this period, you can roam around freely and savour the historical beauty of this city. By Air: If you are travelling to Chennai by air, then you can take a cab directly from the Chennai airport to Vellore, or take a cab to Chennai city and from there take a bus to Vellore. The Chennai airport is at a distance of 130 km from Vellore. By Rail: Vellore is well connected to Chennai and other major cities by rail. You can catch a train from Chennai Central to Katpadi Junction, the northern part of Vellore. From there you can take a cab to the central part of Vellore. By Road: Situated at an approximate distance of 140 km from Chennai, Vellore is easily accessible by road. You can either take a bus from Chennai to Vellore or hire a cab. However, route 1 is the fastest and hence, preferable. While on your way to Vellore, you can take a break at the following places and be amazed by their wondrous beauty. This small town is famous for its lake, Chembarambakkam Lake. Also the origin of Adyar river, this lake is one of the major water reservoirs in the state and has been supplying water to the nearby cities and towns. You can also visit the ancient Shiva temple located near this lake. Freshness and tranquillity can be felt while sitting by the lake and enjoying the spirituality of the temple. Hence, do not miss taking a break here; find yourself getting inspired by its charm. This route is filled with temples and lakes and you cannot restrict yourself from visiting these wonderful places on the way. Sriperumbudur is one amongst such en route destinations to Vellore. Famous for its brackish lake and temples, this is must-see stoppage if you want to make your journey full of reviving factors. A small temple town situated about 10 km from Kanchipuram, Thiruputkuzhi is known for its 13th-century temple dedicated to Lord Vijayaraghavaswamy. It is believed to be built during the period of Pandyas and is popular for its annual festival. If you are looking forward to spending time with some saints and getting to know a little bit of spirituality, then it is a must-visit stoppage on your way. Once you have reached Vellore, the fort city of Tamil Nadu, you will find innumerable spots and places to explore and spend time at. From ancient forts to modern architecture, there is a lot to get amazed by, so much that you'll become speechless. Following are some of the places in Vellore which you may find enthralling. Visit these places and remain awestruck by their spellbinding beauty and legend. Also known as the fort city of Tamil Nadu, Vellore is dotted with numerous captivating and historical forts and ancient buildings. Existing since the period of Vijayanagara kings, Vellore Fort is still standing, showcasing its prestigious past and proud today. Surrounded by a wide moat and known for its grand ramparts, Vellore Fort is assuredly an exemplary place to visit if you want to trace the history of the town. It also houses the Jalakanteswarar Temple, a mosque and St. John's Church, exhibiting the secular atmosphere. Beautiful carvings embellishing the ceiling of the fort is definitely an architectural masterpiece. This temple of Vijayanagar period is dedicated to Lord Shiva and has been considered as one of the masterpieces of Vijayanagar architecture since its inception. Known amongst tourists for its marvellous carvings and patterns, Jalakandeswarar Temple is the centre of attraction of the Vellore Fort. Encircled by the fort, it stands beside St. John's Church and other ruined palaces of the fort. Apart from wooden gates and fascinating designs of temples, lizard and snake sculptures are also a major attraction for tourists. If you love to explore the richness of history, then this temple is your calling. Another major temple at an approximate distance of 8 km from Vellore is the Srilakshmi Golden Temple. It is located in the Sripuram spiritual park and is popular for its gold plating. Dedicated to Lakshmi Narayana, this temple is covered with 1500 kilograms of pure gold. Devotees and worshippers from all around the city and across the country can be seen here immersed in the spirituality spread all around. It is objectionable to be in Vellore and not visit Yelagiri. A beautiful hill station with scenic wonders of nature showcasing its breathtaking marvels and irresistible views, Yelagiri is a must-visit destination if you love to be in the quintessential environment of serenity and quietude. Surrounded by lush greenery, gardens and orchards, with pleasant wind blowing through valleys, Yelagiri is an idyllic destination to spend time at. Savour its commendable beauty. Located at an elevation of 1110 m above sea level, it is still one of the least-explored hill stations in India. Hurry up! Do not miss the chance of getting in touch with pristine nature spread all around.